The most well-known NJ case involving the charge of bias intimidation occurred at Rutgers University in 2012 when a student spied on his homosexual roommate leading to suicide. While the facts in the Ravi case tested the breadth of the bias intimidation law, most cases in Ocean County involving this charge are less complicated. The most common scenario is some form of criminal mischief (e.g. graffiti) or assault where the perpetrator makes it clear that his/her actions are motivated by religion, race or sexual orientation of the victim. If you have been charged with bias or intimidation and is facing this offense in Toms River, you need to hire the best attorney you can find. The charge you are facing is extremely serious and can easily land you in state prison. A capable lawyer will be your best tool in averting these consequences and this is precisely what our firm, Law Offices of Jonathan F. Marshall, can provide to you. 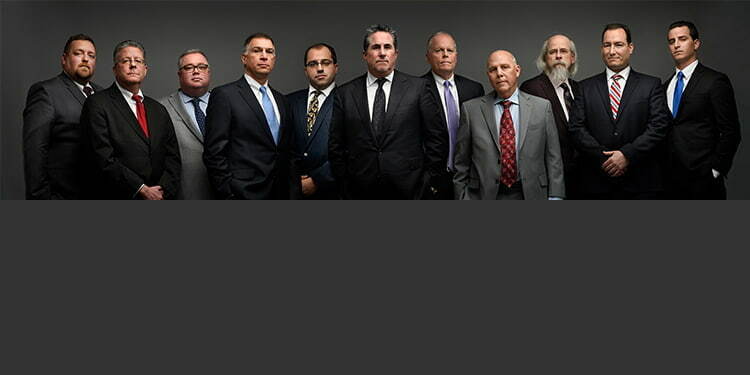 We are a team of eight criminal attorneys, several of whom are former prosecutors, who have been defending individuals for over a century between us. Our firm defends hate crimes, also referred to a bias intimidation, throughout Ocean County, including Lakewood, Manchester, Lakehurst, Toms River and Berkeley. To speak to one of our lawyers immediately, contact our Toms River Office at (732) 286-6500. Knowing that the conduct constituting the offense could cause an individual or group of individuals to be intimidated on the basis of race, color, religion, gender, disability, sexual orientation, gender identity or expression, national origin, or ethnicity. A permissive inference may be drawn by officials that prosecute the offense or in other words proof that the target of an underlying offense specified in chapters 11 through 18 was chosen on the basis of race, color, religion, gender, disability, sexual orientation, gender identity, allows for the inference that the defendant acted with a purpose to intimidate an individual or group of individuals because of race, color, religion, gender, disability, sexual orientation, gender identity or expression, national origin, or ethnicity. Bias intimidation is a crime that is always one degree higher in terms of grading than whatever the underlying offense is. This means that if the underlying offense is a disorderly persons offense that the bias intimidation charge is a fourth degree offense. This is true of every offense except where the underlying offense is that of a first degree offense in which case the bias intimidation charge is also a crime of the first degree. Upon conviction of a first degree offense of bias intimidation a person may be subject to an ordinary term of imprisonment from 15 to 30 years, with a presumptive term of 20 years. It is also important to note that a conviction for bias intimidation will not merge with a conviction for the underlying offense. What this means is that a person could hypothetically be convicted of a first degree offense carrying a prison sentence of 15 to 30 years and the bias intimidation charge to be served consecutively. Therefore, someone convicted of a first degree crime and first degree bias intimidation could serve upwards of 40 years in prison. Make payments or other compensation to a community-based program or local agency that provides services to victims of bias intimidation. Lastly, it shall not be a defense to a prosecution for a crime under this section that the defendant was mistaken as to the race, color, religion, gender, disability, sexual orientation, gender identity or expression, national origin, or ethnicity of the victim. If a person chooses to commit a crime against a person for any of these reasons, it does not matter that they were mistaken as to the identification of that person with the race, ethnicity, or sexual orientation that was the cause of their being targeted. As is apparent, bias intimidation is a serious offense which no person should face without an experienced criminal lawyer. The penalties that are imposed under NJ Law are stiff and leniency is rare as judges and prosecutors tend to take a hard line on hate crimes. This is why you absolutely cannot attempt to defend this charge without highly skilled attorneys at your side. Law Offices of Jonathan F. Marshall has over 100 years of combined experience to insure that you secure the best available outcome of your bias case. If you were arrested in Jackson, Barnegat, Lacey, Stafford or Brick and charged with bias intimidation, our lawyers are fully equipped to defend you. An attorney is ready to discuss the details of what has been alleged against you and provide you with the direction and comfort you need. Call us now at (732) 286-6500 for immediate assistance.